"Competitive bidding is the only way for an item to reach its highest possible value in a short amount of time." 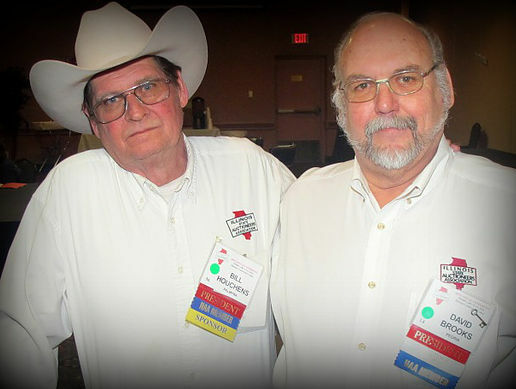 "Out-going Illinois State Auctioneers Association President Bill Houchens (left) passes the leadership gavel to his friend, Dave Brooks, at the group's annual convention in Decatur. Brooks operates Brooks Auction and Appraisals in Peoria."